Many chronic and acute conditions can be successfully treated with medications. As long as patients take those medications properly. Of course, we know that approximately 50% of them don’t. We also know that without proper monitoring and management, complex drug regimens can result in errors that drive unnecessary visits, admissions, and in some cases, even deaths. That’s why hospitals and medical offices must be diligent about medication management using a multi-faceted approach. Here are some best practices that work. Job one is making sure patients are always taking the right medicines, at the right dosage, in the right way, at the right time. Reconciling a patient's medication regimen at every doctor or ER visit, admission, discharge, and transfer is critical to making sure the most current medication list is maintained. There are a variety of barriers that can get in the way of performing an accurate and effective medication reconciliation at all of these points. Two common ones are: limited clinician time with the patient, and gaps in the list of medications that patients present with. The latter is due to either the list in an organization's EHR being incomplete (because it only includes medications prescribed within that medical practice or system), and/or the patient or family member being unable to articulate the correct name, dosage, and regimen for each pill currently prescribed. Despite these challenges, hospitals and medical offices can implement a protocol for reconciling medications. Best practice protocols include a discussion of the patient’s current medications, reviewed against those listed in their medical record, and an accounting and update of the record based on changes made during the current visit. No need to reinvent the wheel if you need to fine-tune your process. Two well-known programs that have been tested and are used in multiple organizations nationwide are the Institute for Healthcare Improvement’s (IHI’s) MATCH Medication Reconciliation Toolkit (designed for hospitals), and the World Health Organization’s High5 Medication Reconciliation SOP (designed for transitions in care). Getting patients to a point of adherence - generally accepted as 80% compliant with their medication regimen - requires that they be engaged and motivated to take their pills correctly and consistently, and refill their prescriptions promptly. Engagement can take many forms. For instance, organizations can train clinical teams to use a teach back method to ensure patients understand the reason they are taking the medicine and how to properly take it. This common technique asks patients to reiterate instructions in their own words to verify understanding and clarify concepts. Or, staff can collaborate with patients to complete or update a provided medication card, which lists all the medications they are taking, along with their dosage and purpose. It’s can also be beneficial to keep patients engaged outside the clinic or hospital by suggesting the use of medication reminder apps such as Mango Health, MediSafe Meds, or Wellth, all of which remind and/or reward patients for taking their medications correctly. 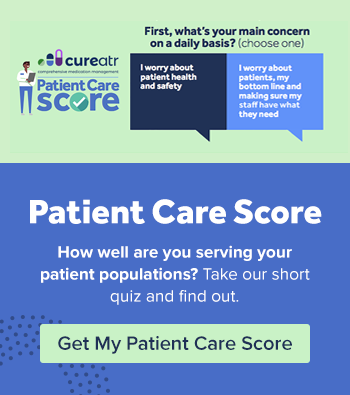 These days, good discharge planning starts at the point of admission and includes conducting a standard assessment to identify a patient’s care needs after they are released. In the case of medication adherence, the care team may determine things such as transportation issues or the ability to afford medications, both of which can then be addressed to ensure the patient is able to get access to the medications they need. This is a must. Best practice after hospital discharge is an appointment with the PCP within seven days. Here’s why: After a doctor visit or hospital discharge, a patient’s condition may worsen faster than the patient or their family expects. But the signs and symptoms of a potentially bad outcome aren’t as apparent to them as they would be to a clinician who knows what to look for and how to manage it. Alternatively, a patient may have stopped taking a newly prescribed medicine because they felt it wasn’t working, or it had an annoying side effect. So, scheduling a PCP appointment as part of discharge, or pre-scheduling the next appointment at the physician office check-out desk, are important to head off a potentially bad outcome or a non-adherence situation before it becomes acute. Patients with chronic conditions such as heart disease, diabetes, COPD - or elderly polypharmacy patients - all need proactive follow up to ensure they are managing their conditions and complying with medication plans. It could be a call, an email, or an automated system that sends messages with instructions, condition-specific queries, or information from their physician. Today, there are a number of automated options. Regardless of the system chosen, the best practice is to follow up proactively instead of waiting for the patient to call. Often at that point, a greater amount of intervention will be needed than if the patient had been proactively managed. 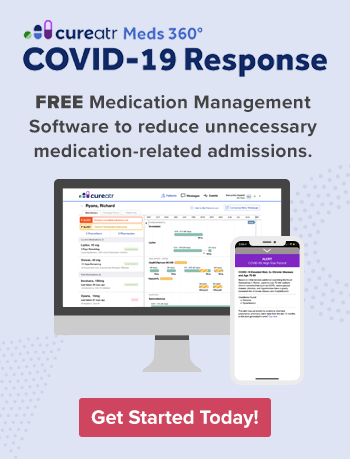 MI is a patient-centered, non-confrontational communications skill set that can effectively drive patient conversations about medication management. Its four-step framework increases the potential for behavior change by stimulating a patient's own internal motivation for change. Using such a conversation technique provides a non-judgmental environment, listening techniques, and empathy, all of which can uncover hidden reasons behind a patient’s ability to improve their health and manage their own care. The CDC recently released new guidelines and fact sheets to address the issues of opioid overuse and drug-seeking behavior. Changes from the CDC’s previous guidelines include lower dosage recommendations, checking statewide drug monitoring databases, and more specifics about monitoring and discontinuing opioid use. Review the guidelines with your team and make sure they are followed.